Meet the sneakerhead who spent $20,000 on his collection, and then spent time trash-talking Nike. 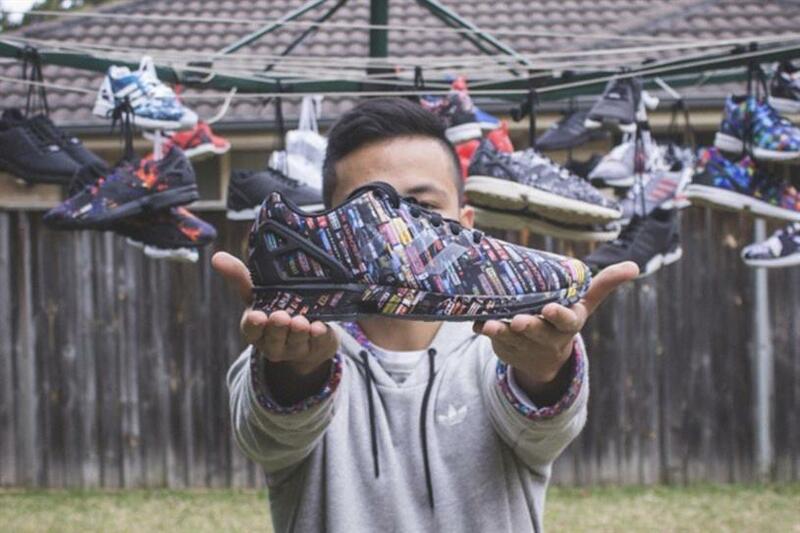 There are sneakerheads, and then there's Jemuel Wong, a nursing student who's spent $20,000 on his Adidas collection. 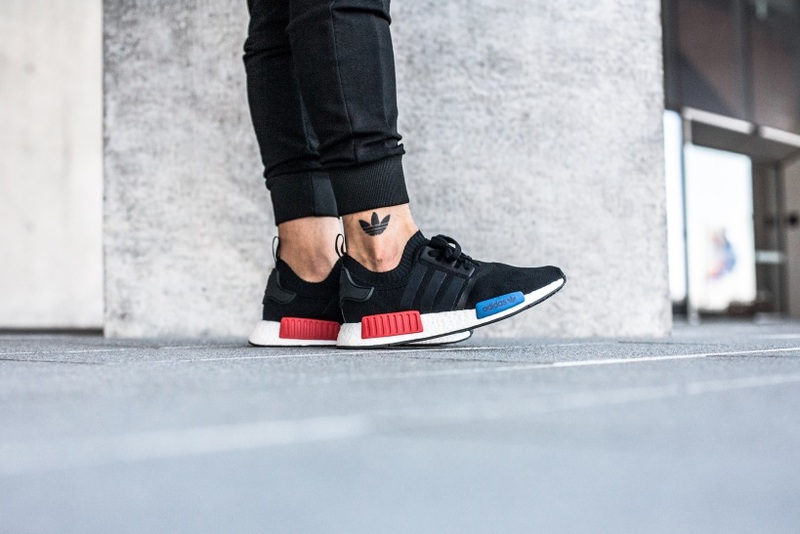 His fandom began in 2014 when Adidas introduced its ZX Flux silhouette shoe. Wong's since branded his right ankle with the Adidas trefoil logo and called out competitor Nike for producing "the same thing every year" on its Air Max Day. "I like Adidas because they are a brand that keeps on trying, innovating and seeing how they can do things better," Wong said. "They aren't just stuck on one innovation of theirs; there is always something new and refreshing with Adidas." What's your Adidas collection look like? I have about 80-90 pairs in my current collection. I love my collection, and I would happily wear every single pair of the shoes I have. I have worn about 95 percent of the shoes I own; some, I just haven't had a chance to. My favorite pair would be the Adidas ZX Flux London City. They are only 300 pairs worldwide, and I currently own four pairs in my size. I also have quite a few pair of Adidas football boots, heaps of shirts, pants and jackets. I even own quirky collector's items such as Adidas Lego figures, ping pong balls, Matchbox cars and paintings. I would say I've spent quite a lot of money on Adidas, but the beauty in investing in sneakers is that you can always buy, trade and sell for newer or better shoes. How do you show your love for Adidas every day? I show my dedication to the brand by the trefoil tattoo that is located on my right ankle! I contemplated getting the tattoo for a while, so when I was at a parlor one day for a different tattoo, I inquired about the trefoil. The artist sketched it up, and it looked good, so I just went ahead! It did hurt, but it was bearable. I don't think I will be getting another branded tattoo anytime soon. If I was, it would be Adidas-related. No one encouraged me to do it. When my friends found out, they were all pretty shocked. Why do you love Adidas so much? I appreciate the roots of its sportwear heritage, that they have always strived to make the best equipment for their athletes. I appreciate that despite their sporting-based roots, they were not restrained to just making sport shoes, but they reached out to the hip-pop and fashion culture at a time when no other sporting companies did. They were able to incorporate sneakers into both cultures and played a large role in curating what the sneaker culture is now. What's your coolest piece of Adidas swag? The Adidas Futurecraft x Parley Ultra Boost. There are only 50 pairs available in the world, and my pair is no. 48. The upper is a special knit made from recycled ocean plastics. What's the craziest thing you've done for Adidas? Probably my tattoo, or that time when I lined up 28 hours for a pair of the Yeezy 350 Moonrocks. With this campout, we sat, stood and slept on the sidewalks of Sydney. I wore two different pairs of Adidas shoes throughout to keep my feet ventilated. I was 150th in line, and throughout the release, more than 1,000 people came. What's the nicest thing Adidas has ever done for you? Last December, they invited me out to the Adidas Skateboarding "Away Day" World Tour event where I got to meet skateboarding legend Dennis Busenitz! It was an anniversary event to celebrate the 10-year partnership between Dennis and Adidas SB. Fan boy moment with @dennisbusenitz2 ?? ?? by @kicksandkin Photos to come from yesterday's @adidasskateboarding 'Away Days' Sydney Tour! Thank you to @andpeople_au for another killer event! What makes you excited about Adidas's future? Adidas is testing out new ideas and innovations. They are developing new cushioning systems, new production methods, new uppers and new silhouettes. They are investing a lot into streetwear, making clothing and shoes that are more street styled than just the classic sportswear, track pants look. Adidas is looking toward an environmentally sustainable production path, making materials out of recycled plastics, using less animal leather, creating more sustainable fabrics. If you could change one thing about Adidas, what would it be? They need to open a flagship store in Sydney. Adidas still has their Performance and Originals stores here, but they don't have a flagship store, which carries their special Adidas Consortium releases. So, with the special release sneakers, I go to local retailers such as Sneakerboy, Incu and Espionage. I also buy a lot from my friends online or through online retailers. What's the one thing that would make you disloyal to Adidas? I don't have any. Only Adidas. WTF does the new adidas Originals film even mean?